Salem G.I. Joe’s on Lancaster Drive NE, built in 1976. 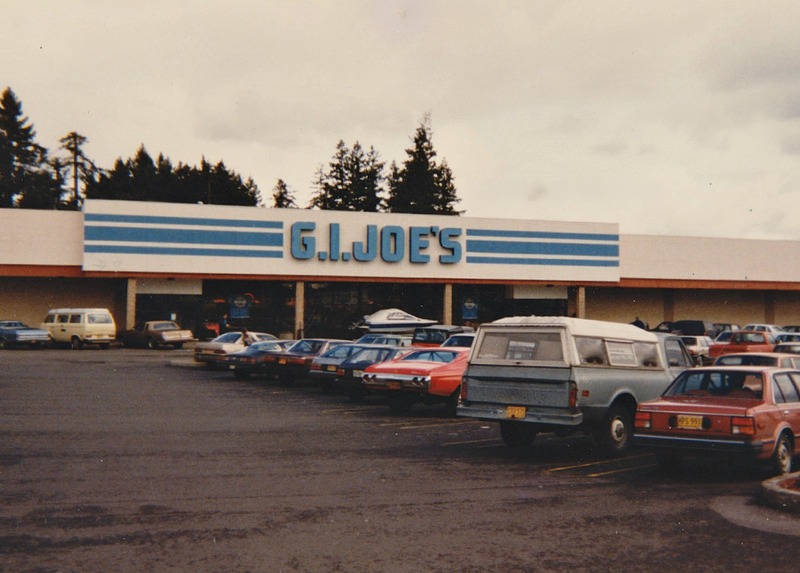 It was the first store built outside the Portland Metro area. This was the 7th store in the 5th location (because there were 3 stores in North Portland adjacent to each other). My dad, Ed Orkney led the opening celebration for the last time for a new store, as he passed away later that year. This entry was posted in Salem G.I. Joe's. Bookmark the permalink.